Welcome! 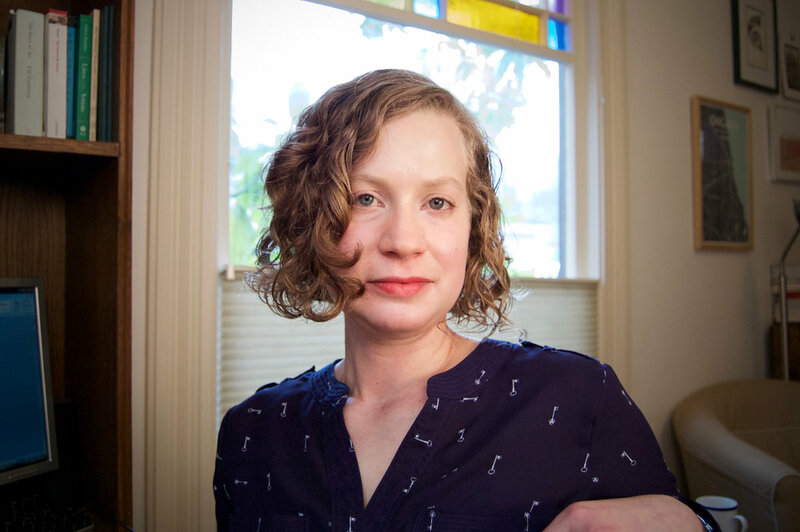 Please introduce yourself for any readers who aren't yet familiar with you and your work. I was born Queens and raised in Brooklyn. I feel an affinity for those two sprawling boroughs of New York; large cities have always inspired me. It's no surprise, then, that I married a map-loving urban planner! These days we live in misty Seattle. Even though it's been nine years since we moved west, I still marvel at the flora of the Pacific Northwest--lavender, rosemary, and artichokes grow wild in the street, and the magnolia tree in our yard bursts into intoxicating lemon-velvet-scented blossoms. My writing is an elastic sort of realism--gritty or fabulist or both. Growing up, I gobbled myths, fairy tales, Narnia; later on books like The Tin Drum, Invisible Man, and The Bloody Chamber left a mark on me. I like to stretch form too--increasingly I'm experimenting with lyric essays, mostly related to food, art, memory, and culture. Many of the essays, my short fiction, and obliquely, Daughters of the Air, draw on my family's experiences during the Holocaust and the Communist dictatorship in Romania, and as immigrants and refugees in 1970s-80s New York City. Pluta is the teenage girl at the heart of Daughters of the Air. Tell us a bit about where she comes from. In high school, I took choreography workshops at the Gowanus Arts Exchange, a vibrant arts space in a creepy, creaky former soap factory. I've been obsessed with the strangeness of Gowanus ever since--it felt so odd and secretive and dangerous. Pluta is also quite strange; the earliest seeds of the book are her dreams, which came to me while recovering from surgery in 2001 (which I wrote about here). I kept thinking about her, and picturing her alone in Gowanus, but I didn't know why. At some point between 2001 and 2003, I began worrying about the rhetoric of the War on Terror; there seemed to be some troubling similarities with Argentina's Dirty War, and that history became part of Pluta's. 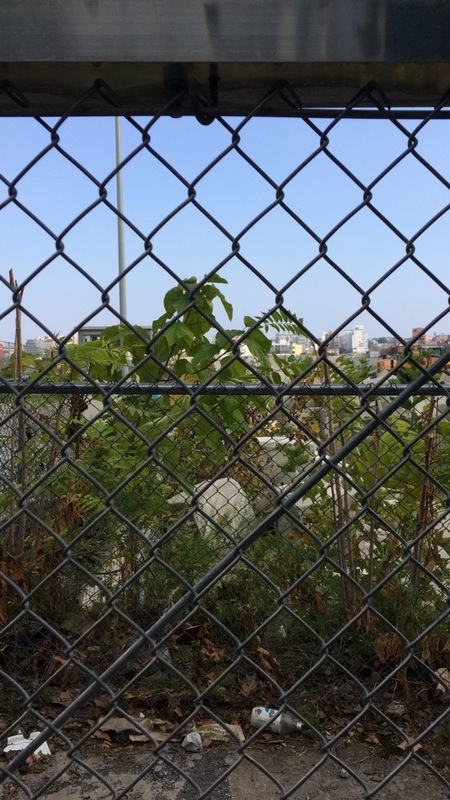 Back in September, we went on a bit of a crawl through parts of Brooklyn as you showed me a few parts of Gowanus that Pluta discovers over the course of the novel. Are there any settings from Daughters of the Air that no longer exist? Gowanus is very different these days. There were no luxury condos back in the mid-late 1990s, when I was dancing there, and certainly not in 1980. The Public Place is what has changed the most, or at least it has for me, because I'd spent so much time looking at it, especially as the F train soars over it. Before my time, it was the site of a manufactured gas plant, then it was the fenced up patch of wilderness included in Daughters of the Air. Now it's paved over. The iconic neon Kentile Floors sign, which could be seen from the train, is also gone, though it may be coming back to a playground in the neighborhood. What comes next for you as a writer? Embarking on the tenth draft of my second novel! It's about a struggling diorama artist working as a paralegal in 2008, set against the backdrop of the Bernie Madoff scandal. There's a third novel on the back burner, and some short stories and essays floating around in the ether. Where can readers visit you online? My website is ancawrites.com and I'm on Twitter (@ancawrites) and Instagram (anca_szilagyi). Come say hi! 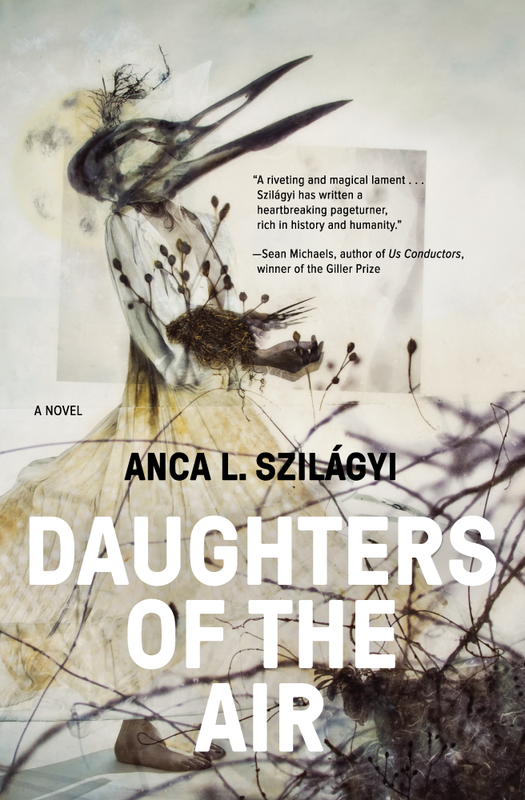 We're beyond thrilled to unveil the cover of Anca L. Szilágyi's debut novel, DAUGHTERS OF THE AIR, which is being released on December 5. Preorders available NOW! I've been a fan of Nichole DeMent's work since I first encountered it in 2013. I knew right away that the moody, mythic imagery of her Oracle series fit the atmosphere of Daughters of the Air. In the years prior, I'd used paintings as prompts to finish a first draft of the novel, putting Dover art stickers into notebooks and writing whatever came from them. There was a lot of groping around in the dark for a long time, but I gradually learned which artists generated ideas for me, and more specifically, which artists seemed to generate ideas for which characters: Chagall aligned with Daniel, the father; Modigliani aligned with Isabel, the mother; and Kandinsky aligned with Pluta. Eventually, though, the story as a whole suggested its own aesthetic. I adore the cover image, "Bird Moon"; it makes me think of wandering through tall, crackly grasses on a summer night, listening to the rattle and click of flying creatures. It also reminds me of a particular, pivotal scene in the book that is wild with possibility, both dangerous and transformative. I'm grateful to Nichole for letting us use this gorgeous piece! "Bird Moon" image by Nichole DeMent. Design by Michael Norcross. 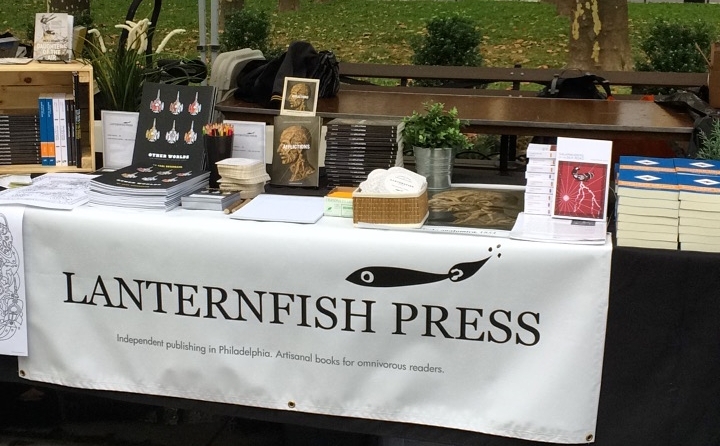 This year's Brooklyn Book Fest is behind us, and we had a fantastic time meeting new readers and old fans alike this year! We had quite a few samplers for new readers to check out: a selected entry from Vikram Paralkar's The Afflictions and first-chapter samples of Christopher Smith's Salamanders of the Silk Road and our December release, Daughters of the Air by Anca L. Szilágyi. We were joined this weekend by Anca L. Szilágyi in advance of Daughters of the Air's debut. During the afternoon of the festival, we had the opportunity to explore Brooklyn for an Instagram tour. Tatiana “Pluta” Spektor was a mostly happy, if awkward, young girl—until her sociologist father was disappeared during Argentina’s Dirty War. Sent a world away by her grieving mother to attend boarding school outside New York City, Pluta wrestles alone with the unresolved tragedy and at last runs away: to the streets of Brooklyn in 1980, where she figuratively—and literally—spreads her wings. The author took us on a walking tour of Gowanus, Brooklyn, where many scenes in the novel are set. Our walking tour centered mainly around the Gowanus Canal, including a bridge where Pluta learns about the area's history. During the tour, Szilágyi mentioned the fascinating appeal of the "nooks and crannies" around the canal, which is surrounded by dead-end streets with seemingly no purpose. You can find more scenes from the tour by following Anca Szilágyi on Instagram. Brooklyn Book Festival is one of our favorite events of the year, and 2017 was a wonderful time. We look forward to seeing everyone at BKBF 2018!